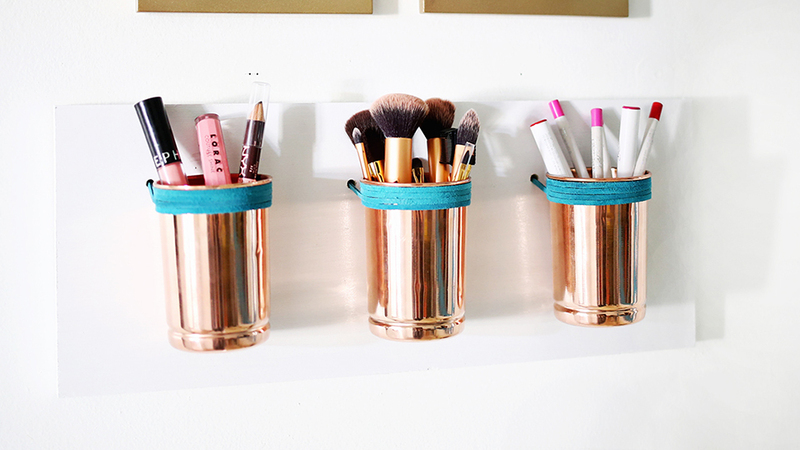 You are only 10 simple steps away from organizing your makeup in the best possible way! 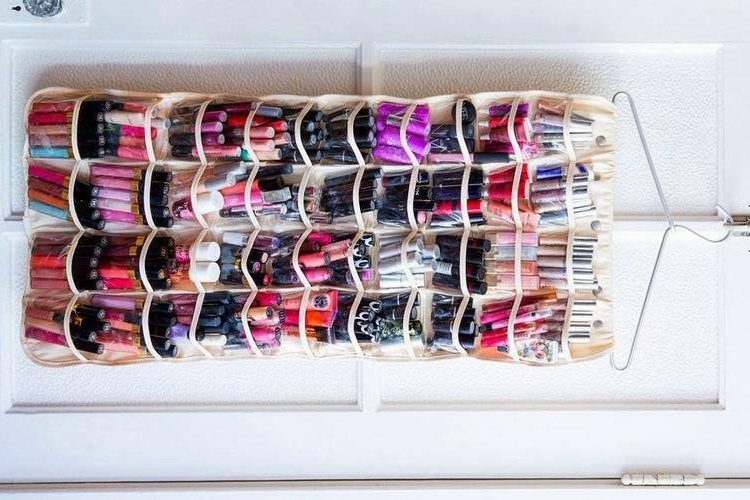 “I have too much makeup”…said no girl ever! But, honest confession, this is true. And especially hard to manage if your drawers are overflowing to such an extent that it is difficult to find that blue eyeliner just when you need it! There’s a fine line between having an impressive makeup collection and being an excessive cosmetic hoarder. And more often than not, that line is determined by how one organizes their beauty goods. Keeping all your beauty needs in one place is never an easy job because you don’t often need to use all of them at once. The time for spring cleaning may be gone, but it never hurts having all your important daily needs organized. 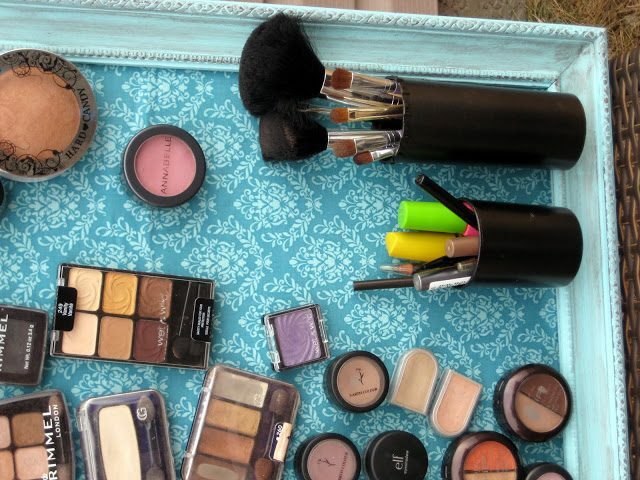 Organizing makeup is indeed a systematic procedure and our checklist will point you in the right direction. 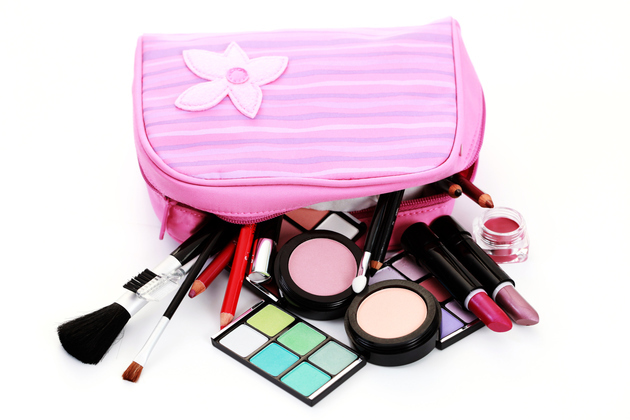 First things first – go around your home and gather up all of your beauty products and tools. Yes, all of it. Most people have items scattered all over the place, which can make it hard to be thorough and efficient when eliminating clutter. 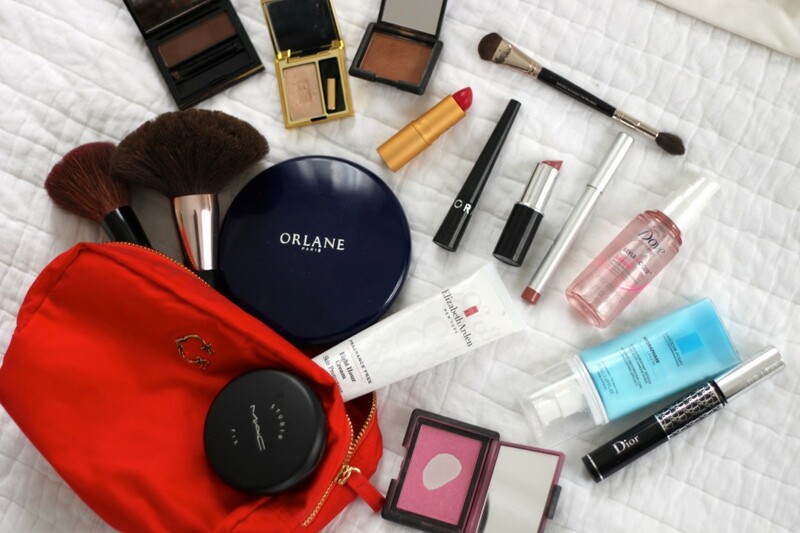 Unless you already have a very minimal beauty stash, it will probably make the most sense to tackle one category at a time: lipstick, then makeup brushes, then hair products, and so on. Once you have each and every category gathered, separated and piled together, you can go through them. Ask yourself when sorting products: Is this expired? 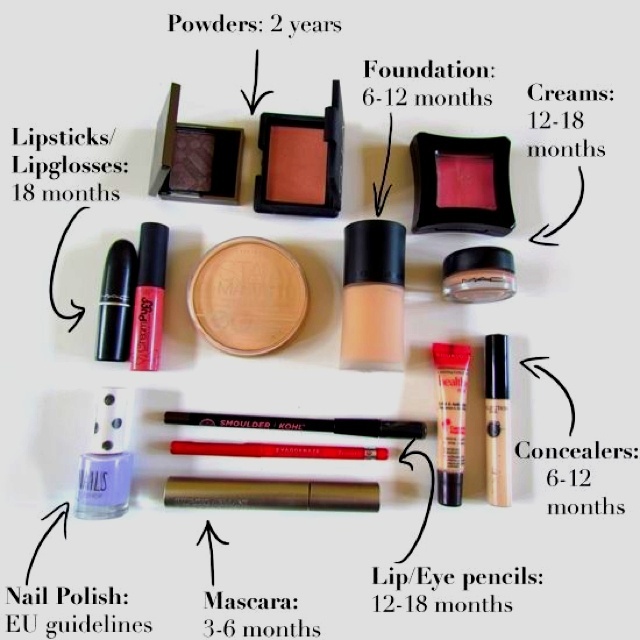 If there’s no makeup expiration date, follow these rough guidelines: Mascara goes “bad” three months after opening, lipstick after 2 to 3 years, concealer and foundation after six months to a year, moisturizer after 6 months to a year, cleansers after a year, and powder products after 2 to 3 years. And if you’ve had any kind of eye infection, you should get rid of all of your eye makeup – no matter when you got it. If you can’t remember when you purchased the item or you’re not sure if it’s expired yet, examine it for any change in smell, texture, or colour. Be especially careful with skin care products, and even more so with those packaged in jars; they are exposed to light and air so often, and that can break down ingredients. Organic or cruelty-free products often expire faster as well, so keep that in mind. If you can’t remember the last time you used a product, it might be an indication that you don’t really need it. Time to throw it away. Sometimes you might realize you haven’t used a particular lipstick in months but that you still really like it – you just forgot you had it. If this is the case, put it in a prominent place and resolve to use it. If you still don’t end up using it, it’s time to toss it. Start sorting through all the piles of stuff you’ve taken out (do this in sections to avoid getting overwhelmed). Sort everything into three categories: ‘definitely keep,’ ‘questionable,’ and ‘definitely get rid of’ (anything worn out beyond repair, too big/small, and anything unflattering that makes you feel miserable). If you have multiple pieces of the same or similar product – probably because it is a favorite or you use it the most, keep one piece in your handbag and one on your dresser. Also, use the one nearing the finishing line before the one that is almost full! Everyone has at least one too-dark or too-light foundation that they spent too much money on, or an unflattering lipstick that they can’t return for some reason. Figuring our clever ways to hack these purchases can be lifesavers. Mixing concealer with mismatched foundation, for example, can help match it to your skin tone. 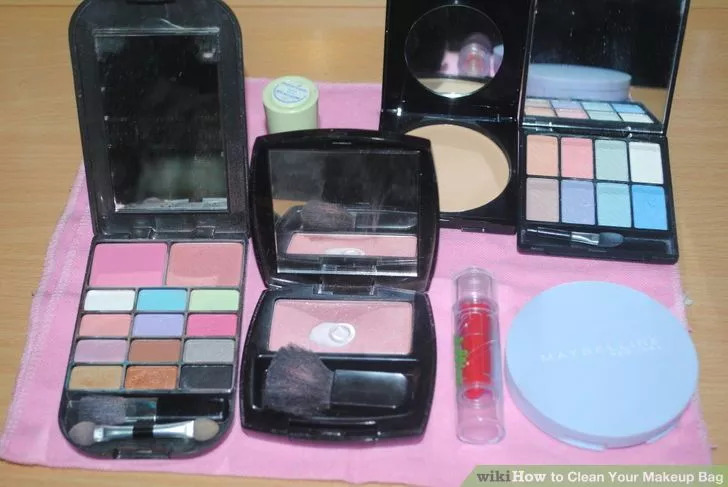 Every week, clean your make up and tools. Half fill a cup with warm water and put a small dollop of shampoo and a few drops of antiseptic disinfectant in it. Put all your brushes in the water and leave them for 10 minutes. Afterward, lay them out on a towel and leave them to air dry. Just open the eye shadow and bronzer and wipe the lids with baby wipes, then clean the gunk that builds up at the top of mascara and lip gloss. 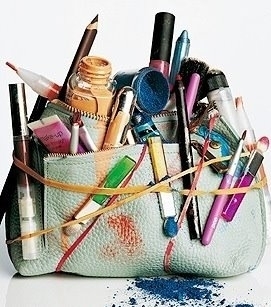 Turn your makeup bag inside out and give it a good clean with baby wipes. Or if it is washable – wash it with warm water, gentle soap and some disinfectant. There must be a section in your makeup shelf that has items that you use every day. Keeping them all together like this is the very best way to get made up and get out the door in under five minutes. Who has time to wonder where they put their concealer? This trick only works if you make sure to put stuff back after you’ve used it. If you’re a person who uses an eyeliner, sets it down and forgets about it, this can be hard to do. Establishing good habits are hard! But think about how much you want to stay organised, and how quick your makeup routine will be once you’ve got this down. Let that be your motivation. Perhaps you could arrange your everyday beauty products on a revolving spice rack or a Lazy Susan to save space. No matter how much counter space you have in your bathroom, it will never be enough. It’s a law of physics or something. There is lots you can do with paper cups, a shower rod, and ribbon. Select and arrange a variety of containers (household, vintage, new!) to contain your arsenal. This is really fun and creative – but also time consuming. A trendy DIY makeup organizer or storage kit will help you avoid being fashionably late every time. Store by category from face to eyes, lips, nail polish, etc. Don’t forget your brushes! When storing lipstick, turn the labels up so that you can see the colors easily. Stick your bobby pins along a magnetic strip so you won’t lose them. A magnetic makeup frame not only keeps your makeup storage organized, but looks incredibly elegant as it hangs near your dresser. With a nice frame metal plate, all you need to do is stick magnets at the back of all your cosmetics and voila! You have a magnetic makeup board to match your magnetic personality. An orange pill container with some oil rubbed bronze spray paint and 3 extra strong magnets glued on the back will be awesome to stand brushes. Mason jars are so simplistic, and yet so neat – because they keep everything from spilling. Use old jam jars to store just about anything that’s fits – cotton balls, cotton buds, safety pins, hair ties – anything! Fill them with beads or coffee beans and use them to prop up your favorite brushes. And the best bit, it means your make up won’t be on display – it can be neatly concealed in your closet. You’ve got everything in order, so try your best to keep it that way (it takes the stress out of getting dressed each day). 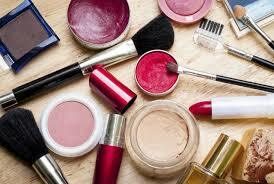 Only put things back in the makeup organizers if they are clean, in good condition, and make you feel great. Maintain the order you have spent time and effort creating.